The Fame of the Lucky Rabbit’s Foot has been well known for many centuries and today it is an almost universal token of Good Luck, Health, Happiness, and Success. 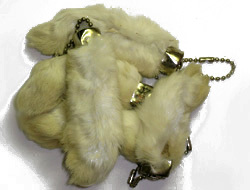 This Genuine Rabbit’s Foot is specially mounted so that it can be carried in the pocket or flannel bag or worn on a key chain or as a watch fob. 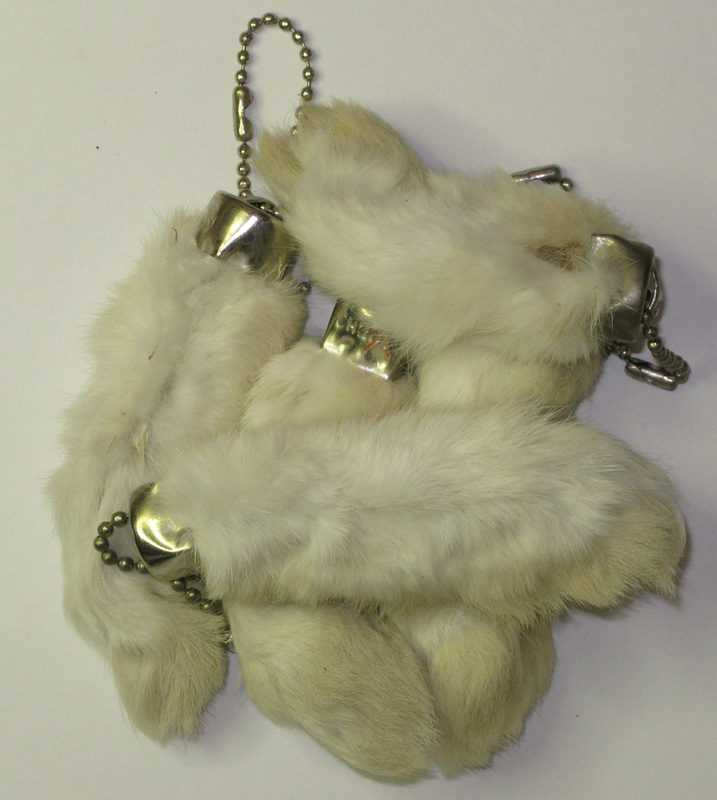 Even though we make no claims that the Rabbit’s Foot is Lucky, there are thousands of people who believe that it attracts Good Fortune and that touching it brings in the Winnings. 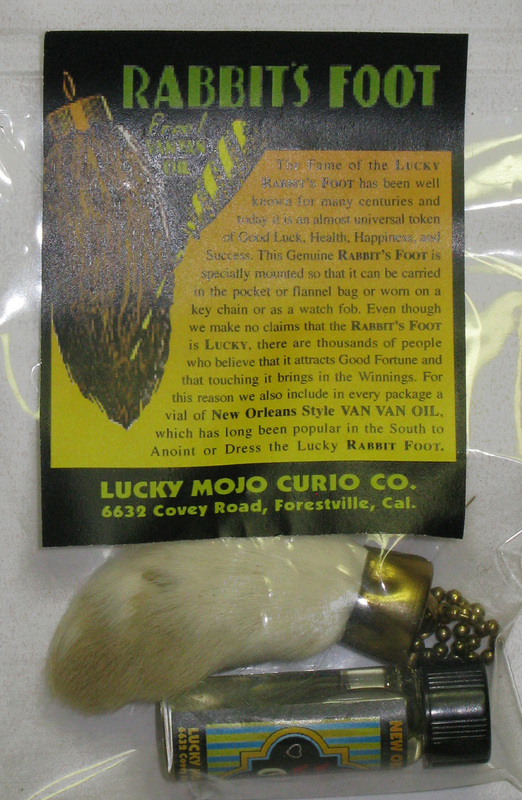 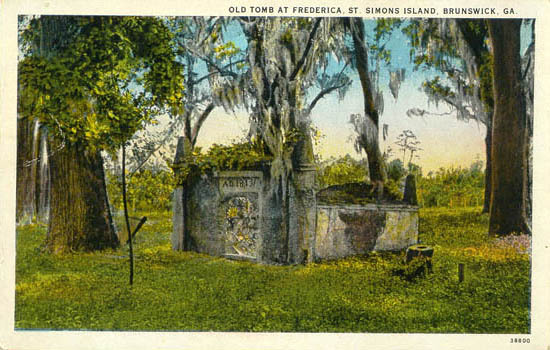 For this reason we also include in every package a vial of New Orleans Style VAN VAN OIL, which has long been popular in the South to Anoint or Dress the Lucky Rabbit Foot. 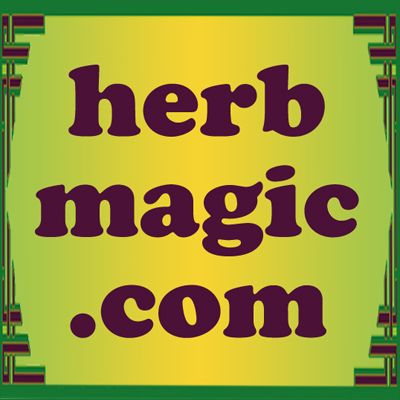 Many more folkloric magical spells utilizing RABBIT FEET can be found in the book "Hoodoo Herb and Root Magic" by catherine yronwode.